Columbus is Cruise & Maritime Voyages’ world cruising ship. In January of each year, Columbus embarks on a 120 night world navigation visiting central America, the South Pacific, Australia, Asia and then into Europe. For more information on Columbus’ world voyages, check out our World Cruises page or view her available segments. When not circumnavigating the globe, Columbus is taking guests to experience the breathtaking natural beauty and culturally diverse cities of northern and western Europe from Tilbury (for London) or Amsterdam. Take a quick city break of up to five nights, while voyages all the way up to 25 nights duration can have you exploring the UK, Norway and the Baltics. Don’t forget to check out Columbus’ selection of Canary Islands cruises for something a little bit different. 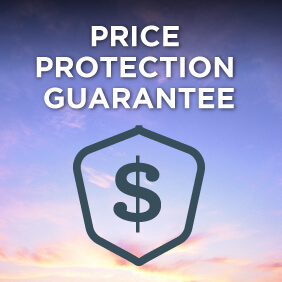 View all Columbus cruises or view more options for Cruise & Maritime Voyages. 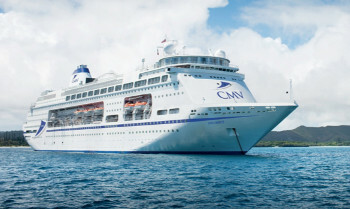 This splendid medium-sized cruise ship enjoys a sterling reputation on the British cruise market and will offer the same traditional cruising style that CMV is known for. Whether you are treating yourself to a mini cruise or embarking upon a once-in-a-lifetime world cruise, travelling with Columbus is sure to create memories. 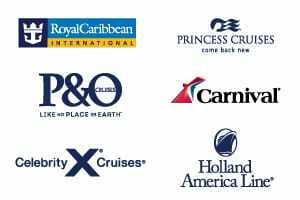 On selected cruises we feature our light hearted ‘Audience With’ where you are invited to listen to an invited guest speaker or performer talk about their life experience and expert knowledge interspersed with questions from you, the audience. This offers you a great chance to become involved and be a part of the fun. Our audiences love them, we hope you will too. Following dinner the show team would enjoy the pleasure of your company in the comfortable Show Lounge as our artists display their talents in a stylish show – all you need to do is just sit back and enjoy. Our specialty acts and guest entertainers complement the show team to ensure that your evenings go with a swing. For a little night music, we have different combos around the ship, including classical interludes with our resident pianist and violinist, who will play for your listening pleasure. If however it is quieter pleasures that you prefer, how about a few hands of cards or making up a table for a syndicate quiz. At the Waterfront Restaurant you can opt for a full English breakfast, savour a leisurely lunch and enjoy a delightful five course dinner. Breakfasts and lunches are generally served on an open seating basis. However, two fixed time sittings are operated for dinner when your attentive waiting staff will welcome you each evening. Perhaps opt to dine at the Fusion or Grill specialty restaurants or sample the delights of a sumptuous dinner at the ‘Chef’s Table’. If you prefer something more casual, the Plantation Bistro is open every day for buffet style breakfast, lunches and dinner, and when the weather is fine, the Alfresco Grill beckons. Columbus offers a choice of seven different lounges and bars including the Captain’s Club, Connexions, Raffles and Taverners Pub and Casino. There are also two specialty coffee and tea shops plus two deck bars. And, the spacious surroundings on board Columbus mean there is always a quiet corner to relax. Columbus offers expansive deck areas and promenades with traditional wooden decking, ideal for viewing on our scenic cruises. When the weather is fine, there are two heated swimming pools and a large screen for outdoor movies and sporting events. Why not relax at the Ocean Terrace with a cocktail from the Club Oasis Bar or a bite to eat from the Alfresco Grill?